Time to Go! Spring migration begins every March in a flurry. The monarchs are in a race against time. They can't stay in Mexico any longer � but they can't move north too quickly either. 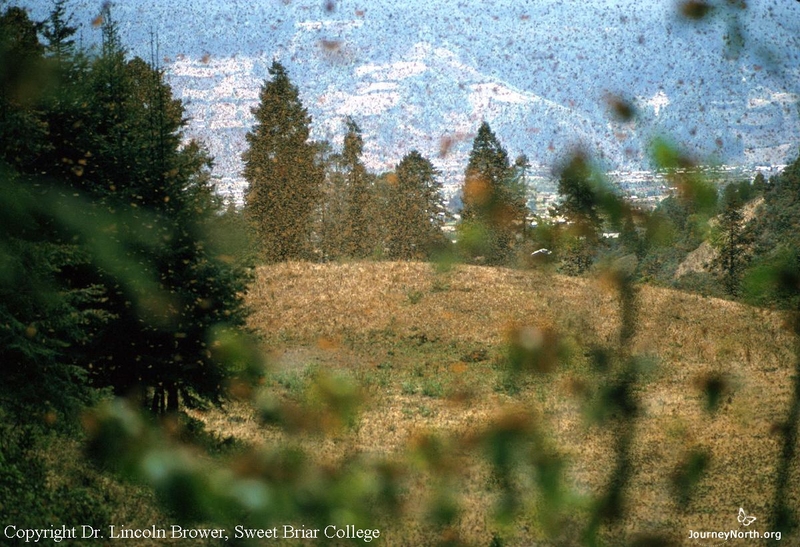 The timing of the monarchs' spring migration must be precise. How do they know when to leave, and why do they go now? 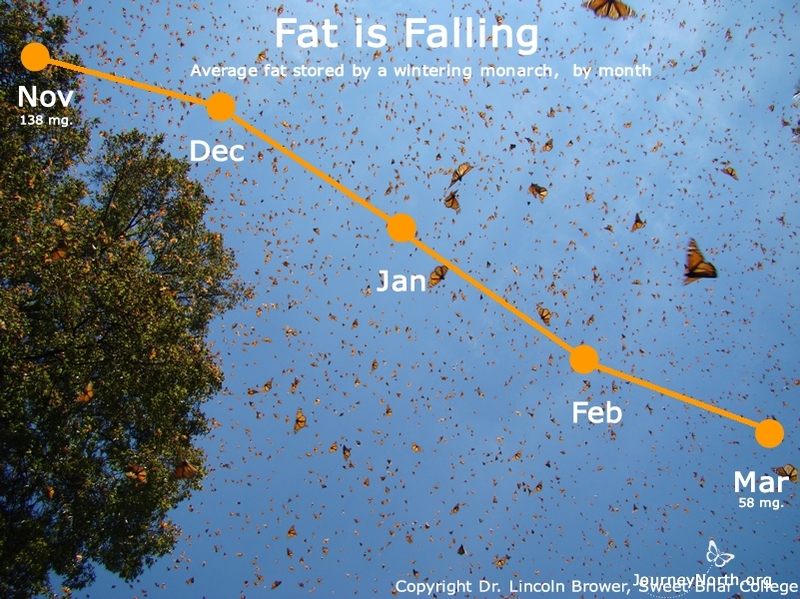 Fat is Falling Time is running out because the fat the monarchs stored for the winter is almost gone. 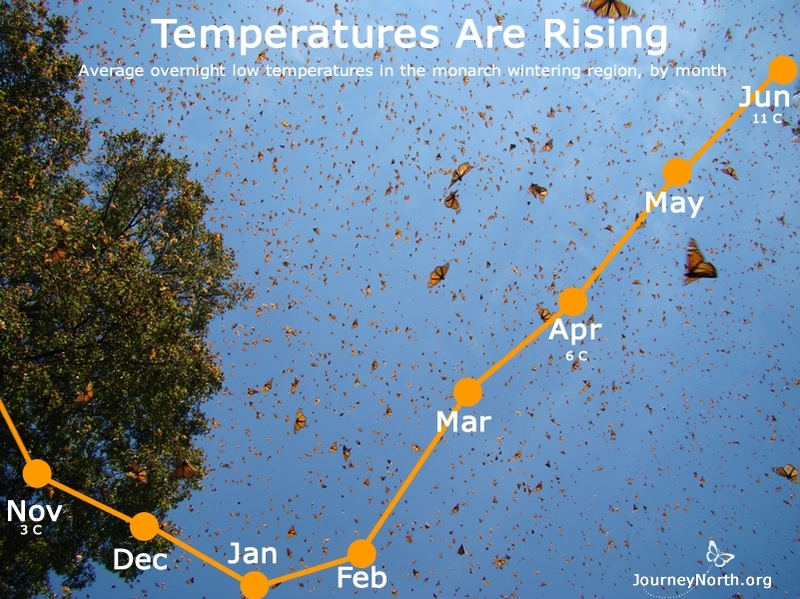 Temperatures are Rising Time is running out because air temperatures are rising at the monarch colonies. As it gets warmer and warmer, the butterflies burn their remaining fat faster and faster. 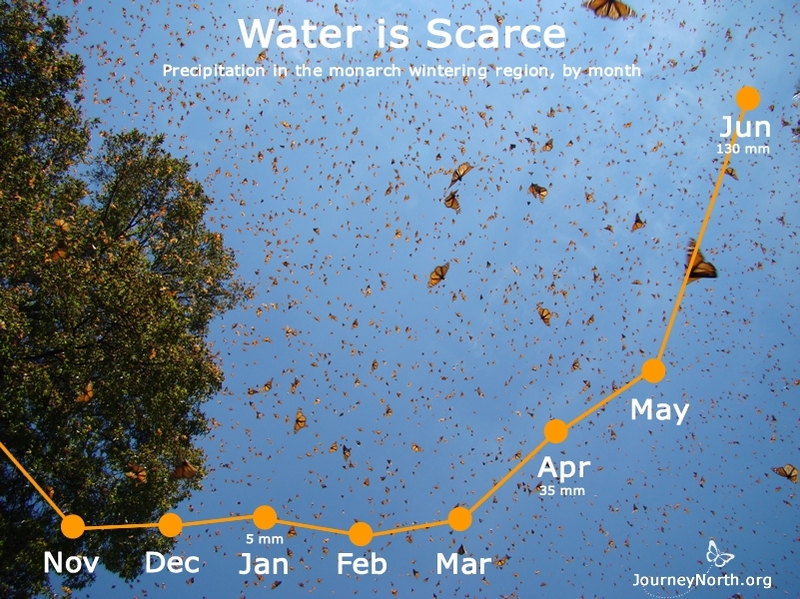 Water is Scarce Time is running out because the monarch's winter habitat is as dry as a bone by March. 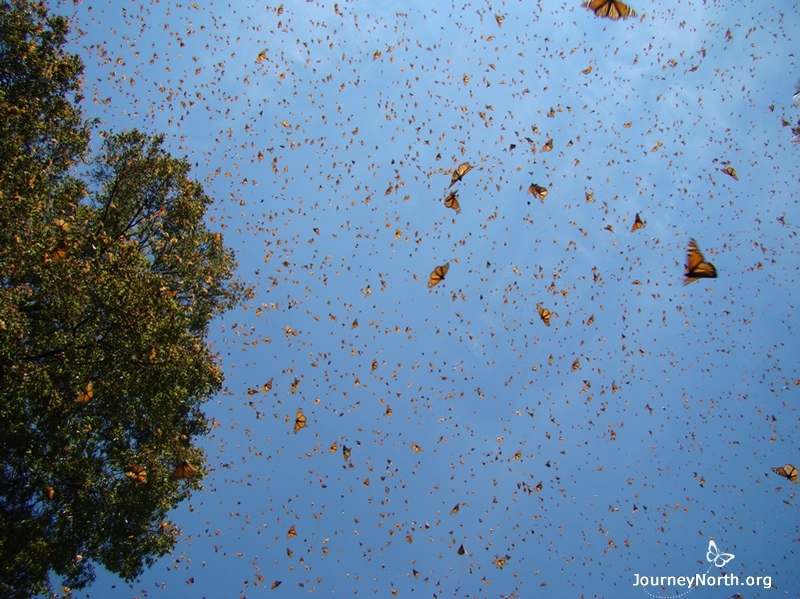 Mexico's dry season began when the monarchs arrived in November. Now the colonies are breaking up as the butterflies fly out in search of water. Monarchs are Mating Time is running out because mating begins as temperatures rise. Monarchs live for only a few weeks after they mate. Monarchs Need Milkweed Time is running out because monarchs must lay their eggs on milkweed. 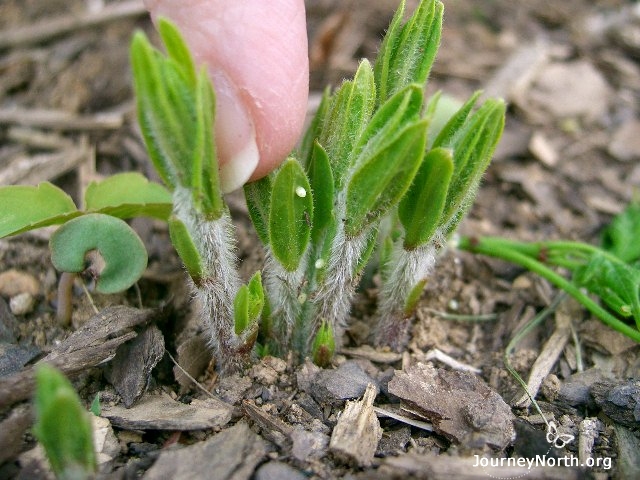 Milkweed is the only food their young caterpillars can eat. Imagine how much milkweed millions of monarchs will need! Spring is Coming in the North Meanwhile, habitat is changing across North America. Milkweed and flowers will soon grow in the north. 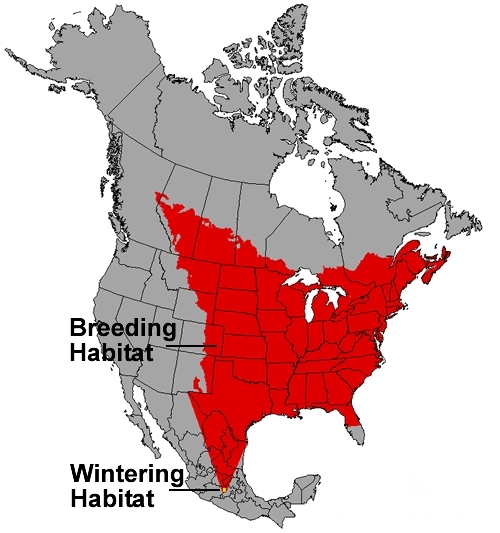 The area in red shows where the monarchs will migrate. Look at how much space the monarchs can have! 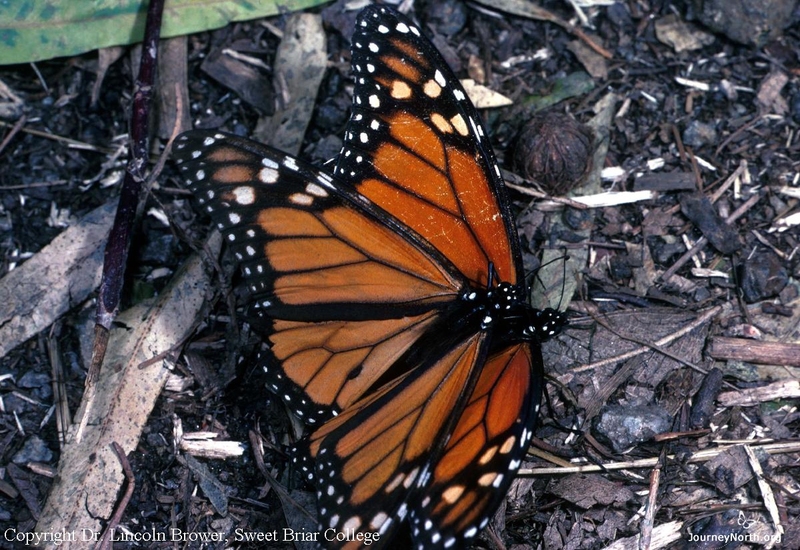 Sensing Change "The spring equinox is probably the trigger for monarchs to migrate," says Dr. Lincoln Brower. 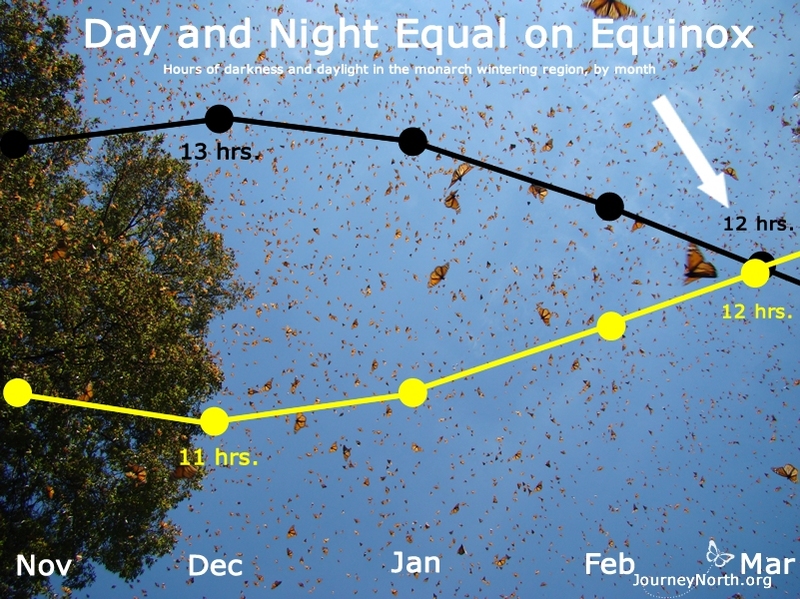 Day and night are 12 hours long on the spring equinox. 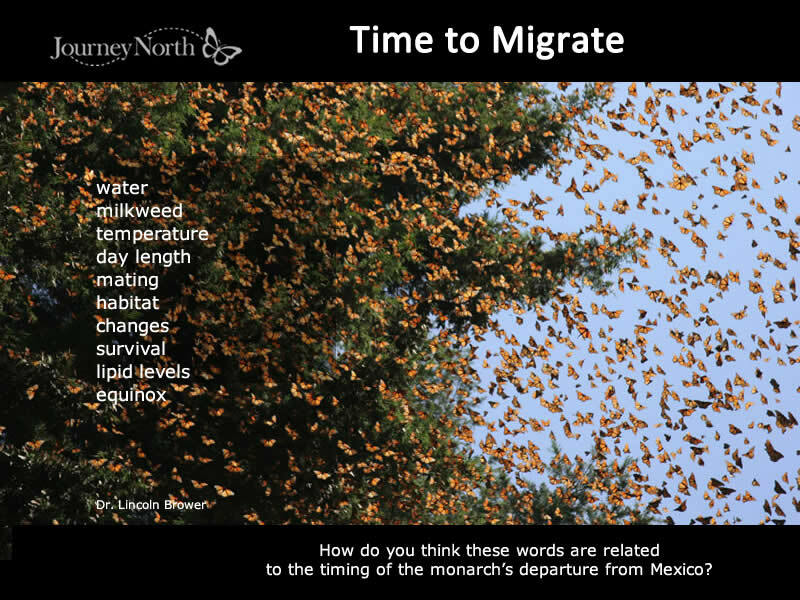 The monarchs may use day length as a cue to migrate. Here Come the Monarchs! With only a few weeks to live, the monarchs are racing northward. They are carrying the seeds of the next generation. Will the monarch's breeding habitat be ready when the butterflies arrive? Track Spring's Journey North Watch how your backyard habitat changes with the spring season. Monarchs seem to appear like magic when their habitat is ready. Watch for milkweed and monarchs. Report your first sightings of the season to Journey North. By the end of March, the monarchs can't stay in Mexico any longer — but they can't move north too quickly either. What changes are occurring in the butterflies and in their habitat?